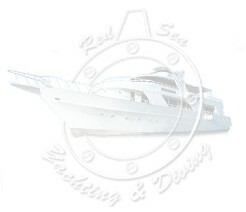 This itinerary is two weeks long due to the long distances, and covers most of the best dives in the Egyptian Red Sea. It is possible to organize part of it in one week trip. As the cruise takes place in the marine park, embarkation points will depend on government guidelines valid at the time. Big Brother and Small Brother are two tiny islands situated in the middle of the Red Sea approximately 70 miles south-east of Hurghada. The two islands are part of the marine park and are therefore protected, and dives here are considered to be among the best, not only in the Red Sea but in the world. Together with Deadalus, Big Brother is the furthest East of the Egyptian territories; lying to the north and south are two small flat underwater plains, with perpendicular walls dropping to around 50-60 metres, below which they descend thousands of metres down into the sea. Above sea level the line of sand running for around 500 metres from North to South is virtually uninhabited, save for small groups of soldiers and some lighthouse operators. The seas here also boast several wrecks, although the majority of these are too far down to visit. The two within reach however offer some of the most beautiful sights in the Red Sea: the Numidia (sunk in 1901) and the Aida (sunk in 1957). The first is to the north of the island, but the sea conditions here mean that diving isn’t always feasible. The second rests to the North-East and is easier to visit. The islands’ location in open sea and the continually changing currents have made the area around the island a true explosion of life and colours, and the two shipwrecks are the most beautiful of the Red Sea, offering fabulous coral formations and amazing marine life; glass-fish and big tropical groupers are ever present, as well as big shoals of tunas, barracudas and grey sharks. Sightings of other species of shark are often possible, such as the silk-shark, the “Longimanus”, the “Albimarginatus” and shoals of hammerhead sharks. Even the fox shark, very rare elsewhere, is easily found in this area. Sometimes the tropical moon-fish, huge mantas, whale sharks visit these areas. Small Brother is situated at about 1 Km south of Big Brother; it isn’t a real island but a small rock. For this reason the sighting of fish shoals and large fish is even more common. The two islands have the same submarine characteristics, they are both rich in coral, in particular the beautiful soft corals which give an incredible charm to the area. In the south-eastern part of Small Brother, at depths of around 20 to 40 metres, are some amazing forests of sea fans; in the afternoon on the south plateau it is often possible to see pelagic fish hunting. Situated 100 miles south of the Brothers, Daedalus is not actually an island but an enormous circular shaped reef with a built-up area in the centre, including a lighthouse hosting a small platoon of Egyptian soldiers, similar to the lighthouse on Big Brother. A long walkway connects the lighthouse with the south-western area where boats are moored. The view from the top of the lighthouse is well worth a visit, although permission needs to be obtained from the soldiers. Dive spots are numerous given the size of the reef. Morning dives are usually taken on the northern side and the area is ideal for sightings of large pelagics, including grey or white-tip sharks, hammerheads, large jackfish and barracudas schools as well as mantas. A peculiarity of the western wall, apart from the fabulous soft corals and large trees of black coral, is an area of full of sea anemones hosting their clown fish just below the surface, making it ideal for snorkelling. Just next to the pier is the ‘coral pyramid’, a coral formation attached to the wall which starts at a depth of around 8 metres, and rises almost to the surface. Zabargad is around 80 miles south of Daedalus. This island is of historical interest due to the remains of the olivine mines (precious stone similar to topaz). A splendid white-sand lagoon is in the south where sea turtles lay their eggs. The only inhabitants of the island are several species of birds of prey. A small wreck is visible in the lagoon to the East of the island, but the best dives are around Rocky Island, around 10 minutes navigation from Zabargad. Boats will moor overnight either on the barrier to the south of Zabargad or sheltered in the eastern lagoon, and start out early in the morning for diving at Rocky. Dives are carried out over the whole perimeter of the island, and their submerged walls are truly spectacular with colourful sea fans and large trees of black coral. Home to the grey sharks, it is also quite easy to catch sight of large hammerheads, albimarginatus or longimanus “Oceanic white tips” sharks. All dives before reaching the island or on the return journey are all in the coastal area depending on the embarkation or arrival point. The best period for this itinerary is from spring to the beginning of autumn.